The Collis School Orchestra was set up over 6 years ago. The orchestra has grown from a few players to a well-established 25 + strong ensemble with new members joining all the time from our school community. As well as performing at school events the orchestra also takes part in Borough wide events throughout the year. The highlight of our playing year is the Borough Instrumental Day when we get the chance to come together with other school ensembles to create a huge orchestra. As well as playing, the orchestra has trips to hear professional orchestras in London. We meet on Wednesdays, 8.00-8.45am. If you play an orchestral instrument and would be interested in joining the orchestra, please contact Pam Gawn, (Music Co-ordinator). Collis is delighted to be able to offer the Government Wider Opportunities scheme which is run by the Richmond Music Trust. The aim of this scheme is to enable every child in Year 3 to access instrumental tuition for a term. We offer every child in Year 3 whole class teaching on Violin, Viola or ‘Cello for an 8 week period in the Summer Term, free of charge. 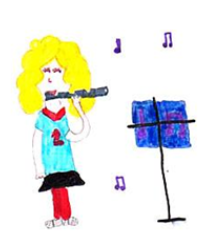 At the end of this period, many children choose to continue on their chosen instrument in highly subsidised large group lessons (up to 6 in a group) for a further 20 weeks – instruments are loaned to children free of charge for this period. It is hoped that the majority of these children will then join the school orchestra, as well as continuing their instrumental lessons in small groups with Richmond Music Trust. At Collis, we offer a wide range of individual and group instrumental lessons, which are run by music teachers from the Richmond Music Trust. 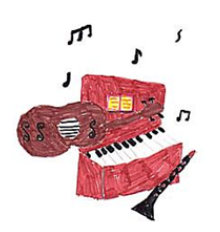 Instruments taught by the RMT teachers at the school include: guitar, percussion, violin, piano, keyboard, flute and cello. Please contact the RMT for more information.